Location: Kofa National Wildlife Refuge, Along U.S. Highway 95 in Kofa NWR, at mile 85 northeast of Yuma. An area of rugged beauty, Palm Canyon may be the only place in Arizona where native palm trees, California Fan Palms, can be found. 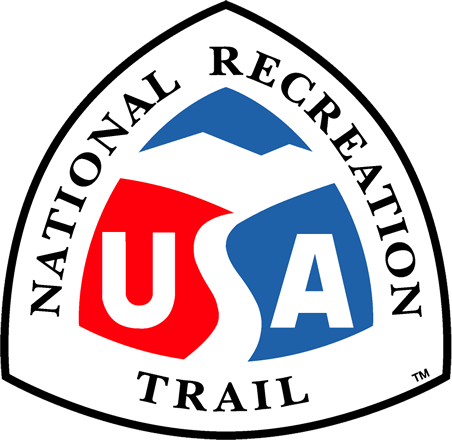 The Palm Canyon Trail is a moderately easy, half-mile trail that winds up toward the base of the canyon. This trail leads to a small sign on a slightly elevated area near the middle of the canyon. 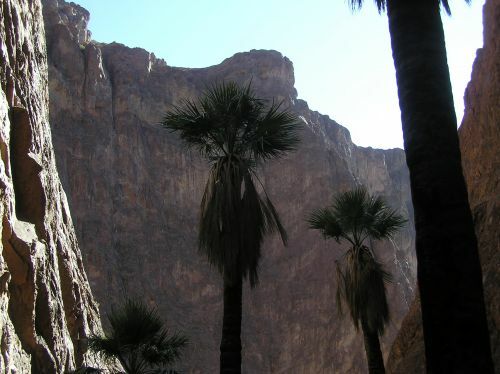 By looking upward in the narrow, north trending side canyon, you will see the palms clearly. For a short time, at mid-day, the trees are well lighted for pictures. Otherwise, the trees are shaded. Beyond the trail, there is the prospect of hiking further up into the canyon. This hike is much steeper and without a defined trail, but allows for up-close examination of the magnificent palms!